Find out why it won't spin first. Remove the lower and see if it spins. As it is a 2-stroke, there is a little access port for each cylinder on the starboard side. 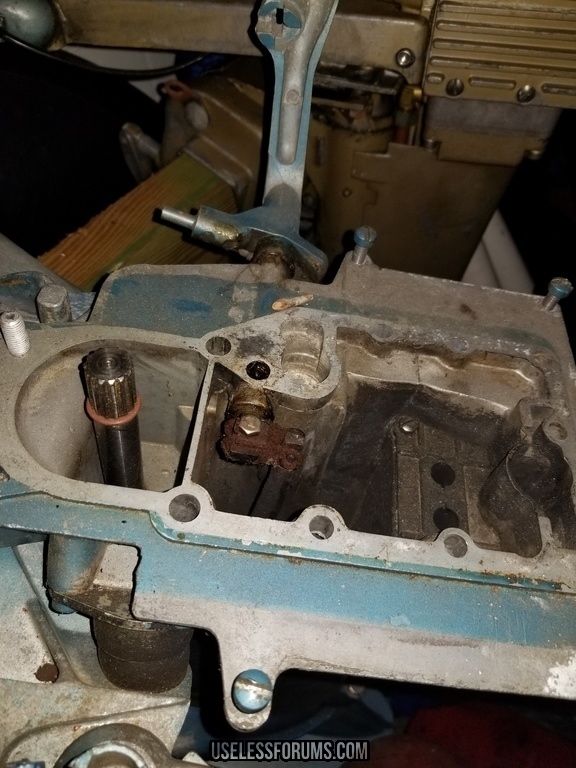 4-5 flathead screws per cover, remove them and peer inside to look for damage. Edit, they are under the starter bracket, i think forward of that fuel filter. That Jim Clark segment in the Grand Tour. 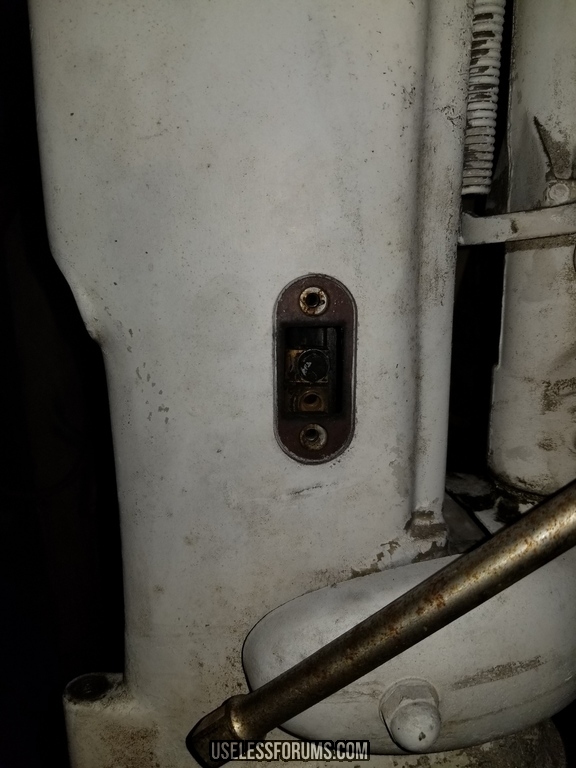 4 bolts just above the fuel pump, that's your access port. Yours will look something like this. Internal bits of the shift lever. Since yours is just spinning I'd bet that something sheared in there when the lower unit got stuck somehow. I'd noticed some external similarities between this and the old little blue Evinrude tiller steer 7.5hp and the "big" 35hp red Johnson we had. (Trying to recall mental pictures from the 80's here). Such as such as the gear/cog wheel on the throttle control, etc. 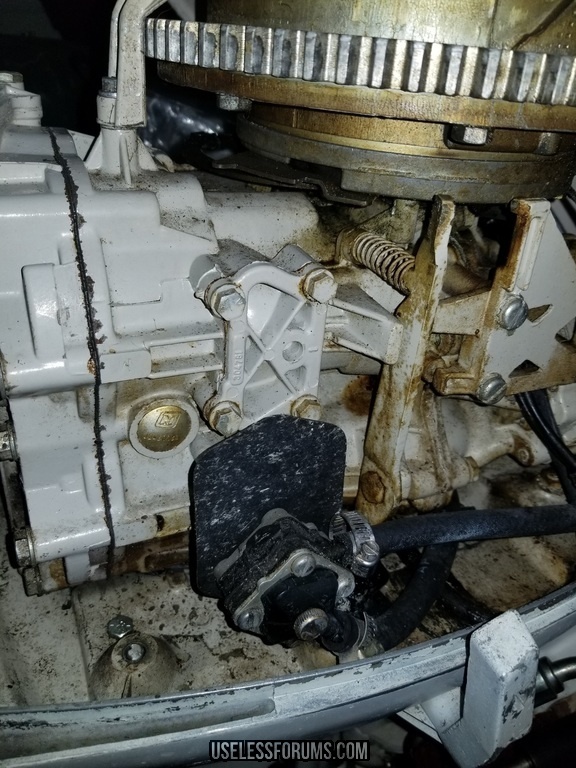 Some seem to just have different connections and places to hold the cable to turn tiller steer into cable linkage from the levers farther toward the bow but the mechanics of what happens on the motor is the same. Same with the shift lever. As things got bigger, add cable linkage but the lever the cable is moving is pretty much the same as the little ones. Yup, I've got a couple of those 7.5 motors. Same basic motor, one is just bigger. Even use the same carb kit and timing bits to make em run. Find a local AOMCI meet. Go talk. interesting set of basic tests on the amazon full synth oil. 20 bucks a 5 quart, and tests better than mobil 1 in most cases aint bad at all. They guarantee the manufacturer x number of sales with no returns. Gotta bring down the price. I use it in my compressor, it looks and smells like the STP synth I used to use at $7/qt. I wonder what an oil analysis would show? Send it to Blackstone or something? The very definition of 0-100-0. It takes 7.3L to make 450HP? Somebody call Nissan and Toyota, since they've been doing that for years with 3L. I just don't see how that truck motor would be an advantage over the Coyote. The 'stang is a damn fine contender with that 5.0. I've been reading about it for a while, owing to interest in a Pontiac GTO facetubes group I'm a part of. It's "class" is a bunch of motors meant for trucks, so 450HP would be the class of the field.